Dr. Nicole LeVeque received her bachelors in biochemistry from the University of Michigan and her doctorate in veterinary medicine from Michigan State in 2000. She began practicing at D’Adamo Veterinary Hospital in Livonia, Michigan. There, she was able to provide her clients with such services as abdominal ultrasound, endoscopy, surgery and dental care. In staying with her true nature and love for a more natural approach to health care, she became certified in Veterinary Acupuncture in 2003 through IVAS. 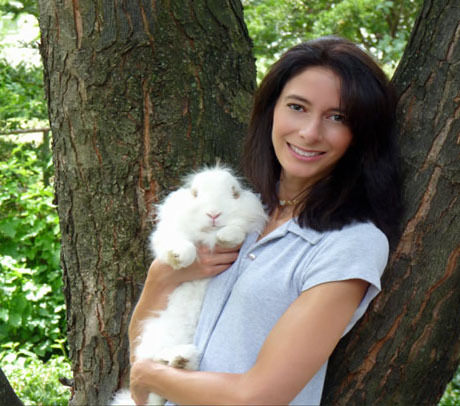 Since that time she has also worked with herbal therapies and completed an intensive course with some of the most renowned holistic veterinary masters of traditional Chinese medicine including Dr. Mona Bodreaux and Dr. Steven Marsden. In addition, Dr. LeVeque practices Qi Gong which she enjoys incorporating into her acupuncture sessions. Dr. Nicole LeVeque was certified in Veterinary Spinal Manipulation Therapy through The Healing Oasis Wellness Center in 2012. She lives in Royal Oak with her husband, two children and their rescued pets - two cats and one very large dog! They enjoy outdoor activities including camping, swimming, taking care of their vegetable garden and most of all, simply playing. Along with her love of animals, her other passion is ballet. She danced in a ballet company from childhood through her years in college and taught ballet, tap and jazz. She still takes class when time permits.